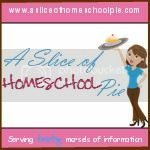 A Slice of Homeschool Pie: Miracles - Have you or someone you know ever experienced one? 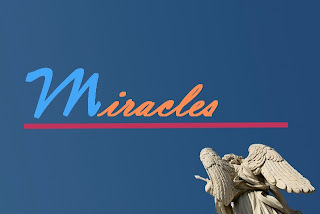 Miracles - Have you or someone you know ever experienced one? Dictionary.com defines miracle as: "an effect or extraordinary event in the physical world that surpasses all known human or natural powers and is ascribed to a supernatural cause." My definition: It is God's method of showing Himself to us in an undeniable way. In my lifetime, God has performed miracles of large proportions; other times they have been small; and sometimes, they have been nothing more than a mere whisper. One day my friend came over. She used to work as a teacher and was talking about a student of hers that she had been particularly fond of. It had been years since she had last seen this student. He had had some struggles during his school years and she often wondered what had become of him. standing at my door with a pizza box in his hand. A miracle, although some may say it was nothing more than a coincidence. My friend, who lives 35 minutes away and taught school probably 30 minutes away, who never until this day had spoken to me about this particular student, on a day we decided to order pizza, this same student just HAPPENED to be the delivery boy...a coincidence. Seriously?! No, I'll say it again, it was a MIRACLE. God chose this time to calm my friend's heart about this boy, now a young man. He gave her the opportunity to find the answers to the questions she had had for all these years. She was able to learn that this young man was doing well, in spite of his past struggles in school. Yes, this wasn't MY miracle - it wasn't intended for me, but I was blessed to have been there to experience this miracle with my friend. I felt blessed because God had allowed me to see Him through my friend's miracle. Now I'll share one of mine. I had a garage sale in which I had some furniture (a sofa and love seat) for sale. Two days went by and the furniture did not sell. I was greatly disappointed. It was a very nice set and I had had "ideas" as to what I would do with the money I'd get for it. The following week we had a slight accident in our van. The whole back bumper needed to be replaced. The cost was over $1,600. Our deductible was $500. I had no idea where we were going to come up with the money to cover the deductible and was sharing this concern with my husband. Then the doorbell rang. (Yes, God likes to appear at my door.) My husband opened the door and there stood a man explaining to my husband that he had driven by the previous week and had seen that we were selling some furniture. He said he couldn't stop to see it at the time and wanted to know if we still had it. He ended up purchasing the furniture for close to the cost of what our deductible was. A coincidence? God saw to it that the furniture did not sell at the time of our garage sale because He knew what we were really going to need the money for. He made us wait and then He blessed us....for my family, it was a miracle. Please help to inspire others, myself included, and share any miracles you have experienced or have been a witness to in my comments area. I would love to read about them and also have a place to come to when I'm in need of encouragement that, "Yes, God is listening." Thanks for stopping by my blog, Being Made New. I enjoyed reading this. I believe the same thing! 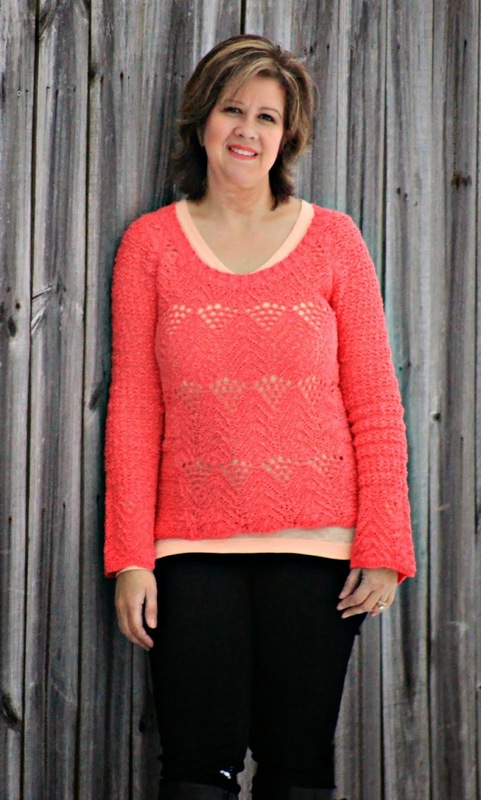 Thanks for stopping by my blog and especially thanks for the prayers.